Building owners who need a new roof are interested in maximizing life-span and optimizing cost with as little hassle and disruption to day-to-day operations as possible. This eBook focuses on the difference between Remove & Replace and Recover with Metal, two common long-term reroof solutions on the market. Fill out the form to the right to download your copy of Need a New Roof? 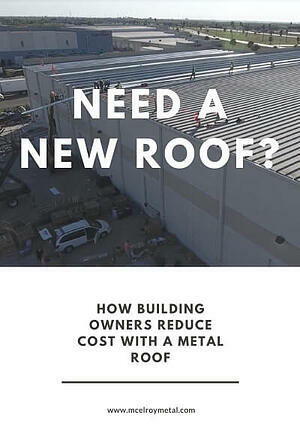 How Building Owners Reduce Cost with a Metal Roof.